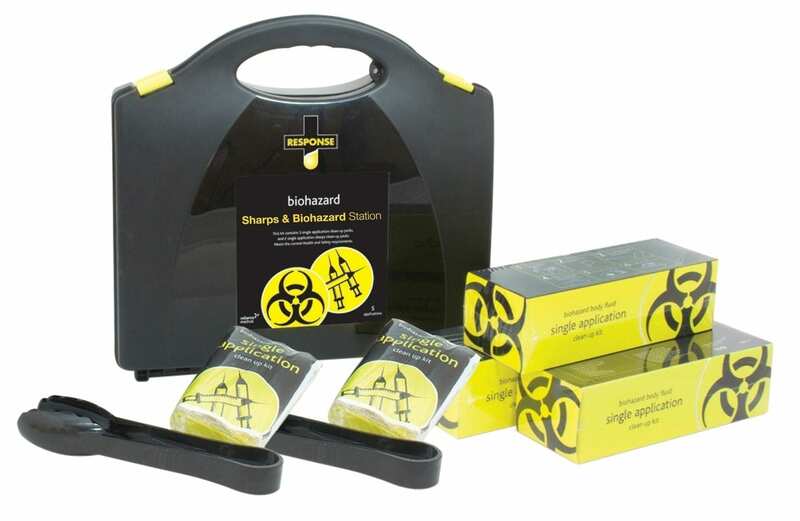 The ultimate system for control of risks from contaminated or infectious sharps, spills and waste. Multiple use system for the safe clean up and disposal of sharps and body fluids. Provides protection from blood borne pathogen risks. Also reduces the risk of slip and fall injuries from body fluid spills. Makes handling and disposing of sharps a breeze. Portable plastic carry case that comes with a BONUS wall mount bracket for storage and easy location in an emergency.